Make your plans to visit today! You’ve already taken the first step. Now, we hope you will reach out to us, and we will help to guide you from here! We look forward to getting to know YOU, and hearing what you want in your retirement lifestyle. Plan your visit, and we can discuss which features and amenities you value most, so you can create an experience that is all your own. Meet our residents while you are here, and they will tell you that a move to Lambeth House is a move for the best—it’s a gateway to more freedom, independence and peace of mind! On your tour, we’ll be happy to treat you to lunch or coffee. We will walk through the shared amenity spaces in our main building and The Wellness Center, and we’ll also see a few different apartment styles. The process is a simple one and we will help you all the way, even when it comes to moving and downsizing. 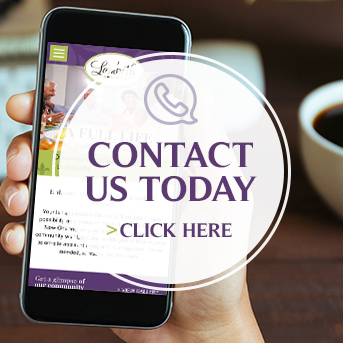 Click here to contact us online or call (504) 865-1960 to let us know what your needs are.